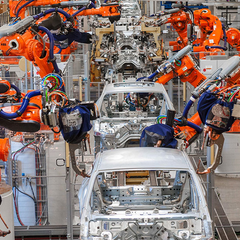 Keep up to date with our latest news and events and learn more about our innovative solutions. With high quality standards, special innovations and individual customer support, Minimax offers unrivaled fire protection solutions worldwide. 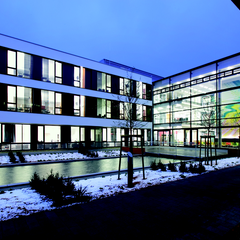 Minimax offers an innovative and international working environment. Our employees value the varied work, the various opportunities for self-development and the good collegian environment. Minimax is one of the biggest fire protection companies worldwide. Get an insight into what makes working at Minimax special. With us you will find challenging jobs, enthusiastic colleagues and attractive benefits. Regardless of whether it’s after school, vocational training or study, whether after your first work experience or as someone making a career change - Minimax offers the right step for everyone. We will be happy if you too can make your way to our company. Wish to apply? We look forward to it! Filter our job offers by area or location. Spontaneous applications are welcome! 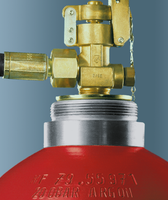 Minimax offers the complete range of fire protection systems and components. These meet the highest requirements and can be combined into an effective and economic solution. All signals converge in the fire alarm control panel which sets off alarms to permanently manned stations and the fire department. In addition, the fire detection technology controls and monitors in many cases all fire protection systems. Water is the most natural of all extinguishing agents and is usually available in sufficient quantities at a reasonable price. 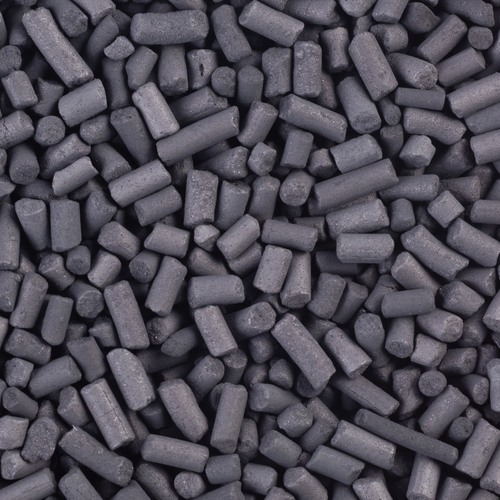 It prevents smoke as well as pollutants, the extinguishing effect is based on its heat retention capacity. Minifog water mist systems disperse the extinguishing water very finely through special nozzles and sprinklers and/or increased operating pressures. At the same time, the overall surface of the extinguishing water is increased, enabling it to absorb heat and evaporate faster. The related cooling and smothering effect makes it possible to fight fires in a particularly effective way with a reduced consumption of extinguishing water. During a fire, foam extinguishing systems spread large-scale foam blanket through foam pipes, foam monitors, sprinklers or nozzles. The foam is applied on the burning material, extinguishes the fire and serves as a deterrent against re-ignition. Foam extinguishing systems are suitable for protecting high-risk areas, e.g. due to flammable liquids or plastics. Gas-based suppression systems fight fires without side effects and without leaving extinguishing agent residues even in areas that can not be reached by sprinklers. The extinguishing effect is based on the replacement of oxygen by the inert gases argon, nitrogen and carbon dioxide as well as by heat extraction through the synthetic gases. Small extinguishing systems often resemble large extinguishing systems in their structures. They are not defined by a certain extinguishing agent, but are rather characterized by their compact and precise designs, which make them particularly well suited for certain applications. Spark extinguishing systems detect initial ignition in suction and conveying systems and produce instantly a water curtain with their automatic extinguishing feature to smother smoldering particles. 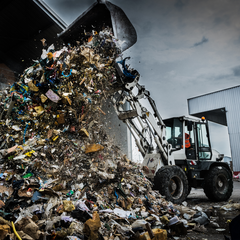 These systems are recommended for use in areas where combustible materials are transported pneumatically and where there is a high risk of fires or dust explosions due to sparking or smoldering particles. 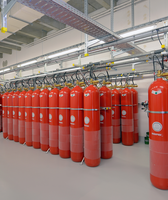 Fire prevention systems reduce the air oxygen content in the protection area through a controlled supply of nitrogen to create a "fire-safe" atmosphere. This prevents fires right at the outset. Depending on the deployed fire prevention system, the development of the "fire-proof" atmosphere is either permanent or on-demand. Inveron is a transparent and user-friendly system for visualizing and operating fire detection, extinguishing and hazard detection. All reports and events are automatically merged in a user interface and presented on a screen. 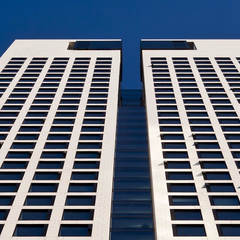 Inveron offers ideal monitoring particularly for complex building structures. Many branches of industry involve special fire risks and so present special requirements for the fire protection concept. With our know-how and our broad range of products we are the right partner where individual solutions are required. Even small fires can paralyze an entire production plant. 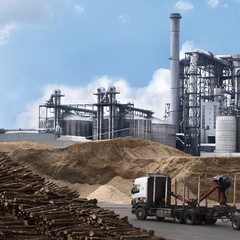 The fire risk is substantial: technical defects in production systems, open construction and connected production areas promote the rapid development of fire. Vessels and other off-shore areas have disproportionately high security requirements, due to the special conditions at sea, as a quick escape is impossible and outside help for extinguishing a fire is often not available. 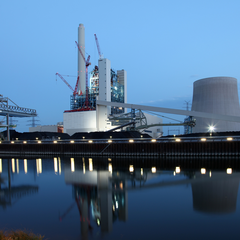 Damage caused by fire in just one part of a power station is sufficient to endanger the entire electricity supply. The fire risks are manifold: escaping lubricating oils that ignite on hot surfaces, or technical defects such as short circuits or overheating of turbines that cause a fire. Publicly accessible areas require fire protection that provides comprehensive protection for people. The fire risks are manifold. 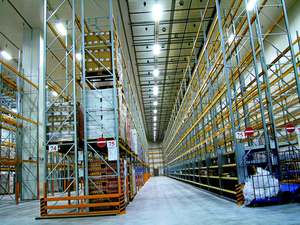 Whether shorts circuits on demo models or lighting in commercial premises, a high fire load affects the considerable quantities of goods in the confined spaces of logistics areas. Personal protection is a top priority, as the fire risks are manifold. Careless smoking, short circuits in lighting systems or technical equipment or even arson may cause a fire. Regular monitoring of signaling and extinguishing systems and their maintenance are important preventive measures in order to permanently ensure functionality. 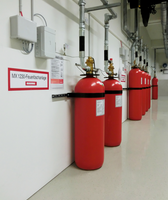 Our service ensures a proper and timely execution for all fire protection systems. Fire protection systems are complex safety systems, which must be absolutely reliable in case of emergency. Regular maintenance and repairs are the prerequisite for ensuring that not only the function but also the insurance protection of your company is ensured. Components which for example minimize the risk of false release or make function tests significantly easier may be retrofitted without significant expenditure. Inspections of the functioning state and if needed the exchange of relevant components are often indispensable in order to maintain the reliability and effectiveness of an extinguishing system running even after long years of operational readiness. Environmental- and operating conditions of an extinguishing system are continuously recorded with electrical monitoring. Deviations from the target state are automatically displaced, saving long inspection rounds. On this page you will find all the "Technical Product information" to our product portfolio. The Oxeo EcoPrevent VG reduces the oxygen content in the air by the controlled supply of nitrogen to the protected area in order to create a "fire-proof" atmosphere and maintains this level permanently. This prevents the outbreak of an open fire. 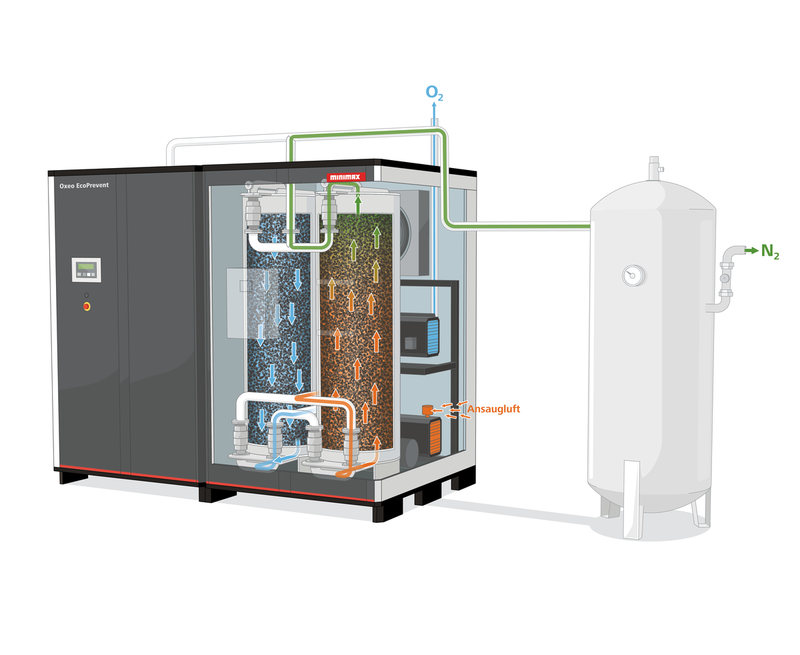 Oxeo EcoPrevent PG generates the nitrogen used to reduce the oxygen on site by means of a nitrogen generator. The protected areas can still be entered by unimpaired individuals. 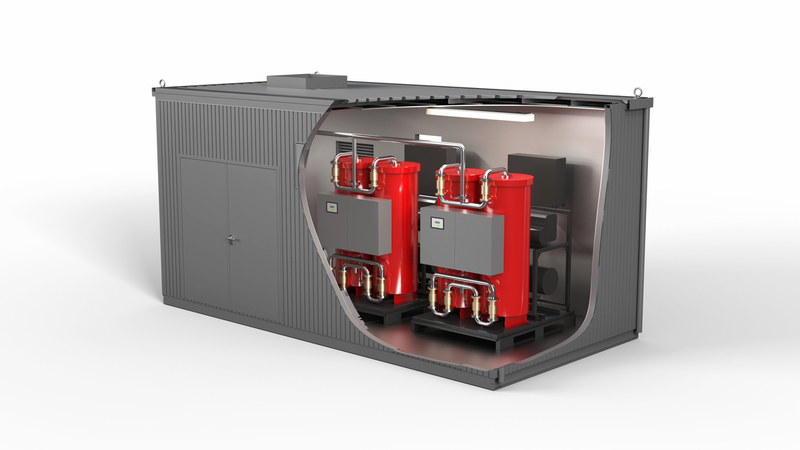 The VPSA nitrogen generating system works on the pressure change principle. Containers filled with carbon granulate separate the oxygen and thus reduce the oxygen content in the air. The granulate consists of specially treated active carbon which enables the separation of oxygen and nitrogen. The compressed ambient air enters an adsorption tank via an energy-efficient low-pressure compressor. The tank contains the carbon granulate which retains the smaller oxygen molecules from the air in its pores. The nitrogen can thus flow past and is thereby separated from the oxygen. One cycle lasts approx. 60 seconds and includes the nitrogen separation in a tank (adsorption) and the removal by vacuum pump of the bound oxygen in a second tank (resorption). As this process is continuously, alternately repeating itself, nitrogen is permanently available for introduction into the protected area. 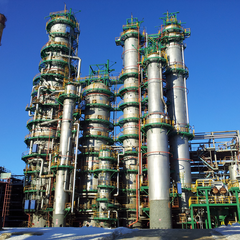 Thanks to low process pressures the VPSA nitrogen reduction system is very energy-efficient. The reduction of system pressure immediately leads to an effective lowering of energy consumption. In direct comparison with conventional oxygen reduction systems the energy costs can be reduced by up to 70%. In addition to this, the lower process pressure protects components and carbon granulate, thereby reducing component wear. The modest dimensions of the VPSA make it possible to implement the entire oxygen reduction system as a container solution. This saves valuable space in buildings. The scalable design allows individual quantities to be supplied. From quantities upwards , the modular design offers built-in partial redundancy. If a module is being serviced or is possibly completely out of service, part of the quantity supplied will still be available. Often this is sufficient to maintain fire protection or if necessary to gain enough time to restore complete fire protection. 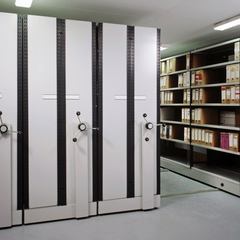 Archives house documents and information in the form of paper files or data carriers. Shelving bays or mobile storage racks make for transparent storage and as needed for quick access to specific information. The ceiling height is typically used to the limit. Sprinkler systems installed for the overall protection of the building typically provide the necessary safety in archives. The use of Preaction sprinklers prevents an unintentional triggering of the extinguishing system caused by accidental damage to a sprinkler. 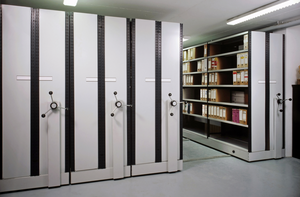 Oxeo inert gas extinguishing systems completely exclude water damage to archived materials. They are also an optimal solution if the distance between the upper edge of the shelves and the ceiling is too narrow for sprinklers. Oxeo extinguishing systems are triggered by a fire detection system using HELIOS AMX5000 aspirating smoke detectors. 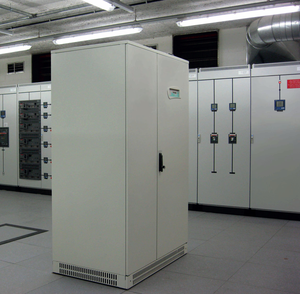 Control rooms are very sensitive and high-quality facilities which control fundamental production processes. 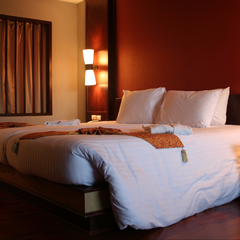 They contain electric switching and control equipment plus false floors with extensive cabling. Even minor defects may cause substantial operational failures. Oxeo inert gas extinguishing systems offer reliable protection in control rooms. For smaller control rooms, MX 1230 extinguishing systems offer an economical alternative. The extinguishing system is triggered by a fire detection system using punctiform smoke detectors or HELIOS AMX5000 aspirating smoke detectors. 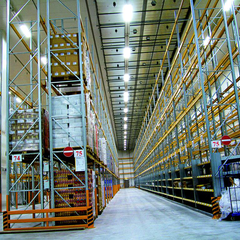 High rack storage shelves are up to 50m high and are mostly designed for the intake of Europallets. 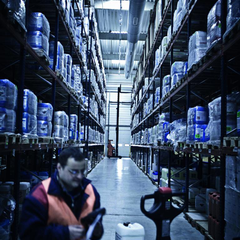 Their capacity ranges from a few thousand to several hundred thousand pallet storage positions. 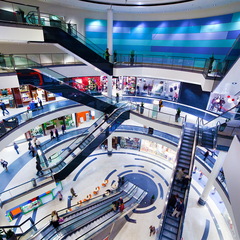 On a very small surface area they offer space for extremely large quantities of goods and products. 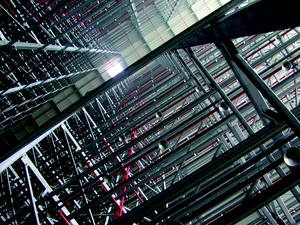 Between every two rows of storage shelves there is an alley in which rack feeders move up and down. 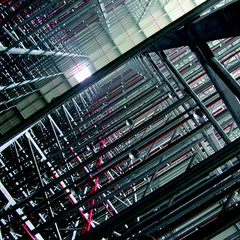 Sprinkler systems have been proven to work well in high rack storage facilities. In the conventional version, sprinklers are installed both under the ceiling and in the shelves. However, the installation of shelf sprinklers is rendered unnecessary if ESFR (Early Suppression Fast Response) sprinklers, which are installed only in the ceiling, can be deployed. Fire detection systems for the early detection of fires are also used to supplement sprinkler systems in high rack storage facilities. In these cases, Minimax recommends the use of HELIOS AMX5000 aspirating smoke detectors with a vertical installation of the suction lines in the shelves and mounting the evaluation units in easily accessible locations. The advantage of such a solution over punctiform smoke detectors is, for example, that they can be serviced very easily without having to interrupt business operations. Extinguishing water without antifreeze additives will freeze over very quickly. Oxeo Prevent fire prevention systems are the ideal solution for refrigerated storage facilities, since the conditions for their use — no permanent presence of people in the storage facility, a well-sealed building shell and very low infiltration of fresh air caused by bringing in and removing goods — are also required to maintain the desired temperature level. Moreover, they offer perfect protection for the storage of foodstuff that is sensitive to smoke and temperatures. Oxeo Prevent fire prevention systems are mostly used in combination with HELIOS AMX5000 aspirating smoke detectors with a highly sensitive setting to ensure earliest fire detection. Heated aspirating outlets ensure their proper operation in refrigerated areas. Though Oxeo Prevent can only prevent a smoldering fire from turning into an open fire, the fire and the cause of fire would remain permanently undetected in the absence of an earliest fire detection system. Alternatively, sprinkler systems can be installed in such conditions — here ideally fitted with ESFR sprinklers. If there is a sufficiently spaced, frost-free intermediate area above the ceiling available, we recommend pendent Viking ESFR dry sprinklers. 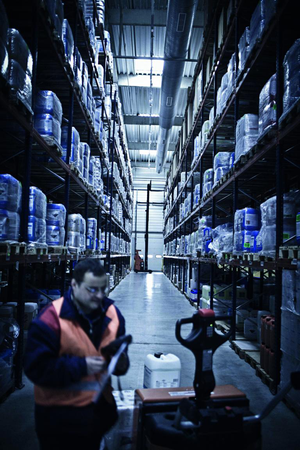 Combined with a Minimax PipeGuard Antifreeze system, sprinkler systems can be used in refrigerated storage facilities at a temperature of up to -40 °C. 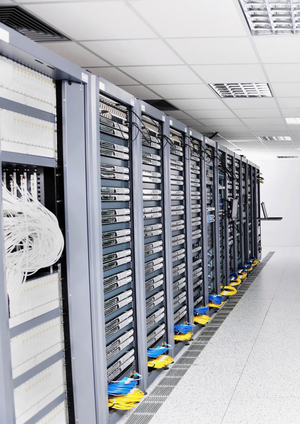 Server rooms are important, sensitive areas. 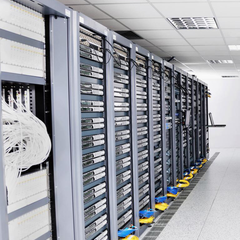 In these rooms, data of high importance for business operations is stored, managed and exchanged over the network. The irretrievable loss of this data through a fire may have considerable economic consequences for productivity or even the future of a company. For small and medium-sized server rooms, the MX 1230 extinguishing system is the ideal solution. It gives residue-free extinguishing using the innovative Novec™ 1230 extinguishing agents and requires very little space. 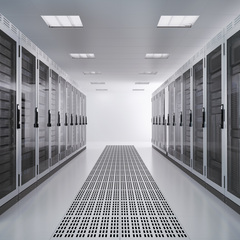 Oxeo inert gas extinguishing systems are ideal for large server rooms. The MX 1230 extinguishing system and Oxeo inert gas extinguishing systems are triggered, and fires are detected, by a fire detection system using a HELIOS AMX5000 smoke aspirating system. Hazardous substances are materials or mixtures that are explosive, combustible or harmful to human health or the environment. 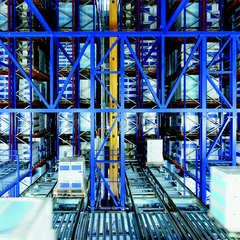 Warehouses where such substances are stored have a great variety of typical designs, subject, however, to specific laws and regulations applicable to their construction. Such provisions require e.g., fall-safe storage, soil protection in the form of collecting reservoirs and extinguishing water retention systems as well as the prevention of operational sources of ignition. As a rule, the planned fire protection system for hazardous substance storage is determined in particular by the characteristics of the stored goods. Accordingly, nearly the full range of fire extinguishing systems is used in such facilities. For this type of storage, Oxeo inert gas extinguishing systems are often the preferred solution: they extinguish fires quickly without leaving residue, and reactions between the burnt materials and extinguishing agents are precluded. 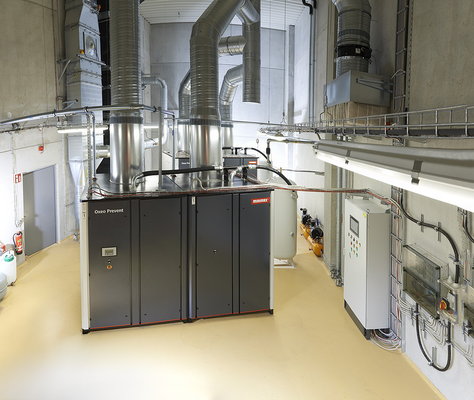 Alternatives are Oxeo EcoPrevent systems or CO₂ or foam extinguishing systems. A fire detection system triggers the extinguishing systems. UniVario flame and heat detectors are used for detection purposes. Do you have questions or need support? Some features of this website need your consent to remember who you are. Strictly necessary Some cookies on this website are strictly necessary and cannot be disabled. You may consent to these cookies for all websites that use this plugin.